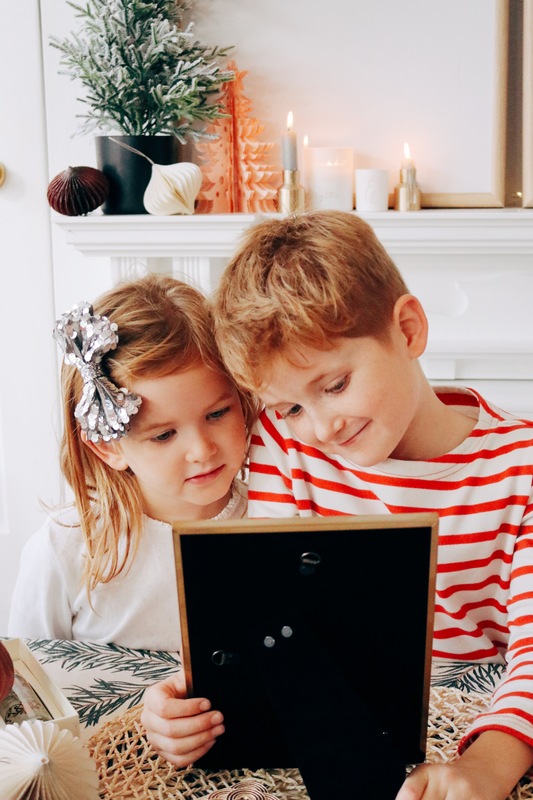 It’s that time of year when we all start to collect all the perfect little presents we have seen over the year for our loved ones. 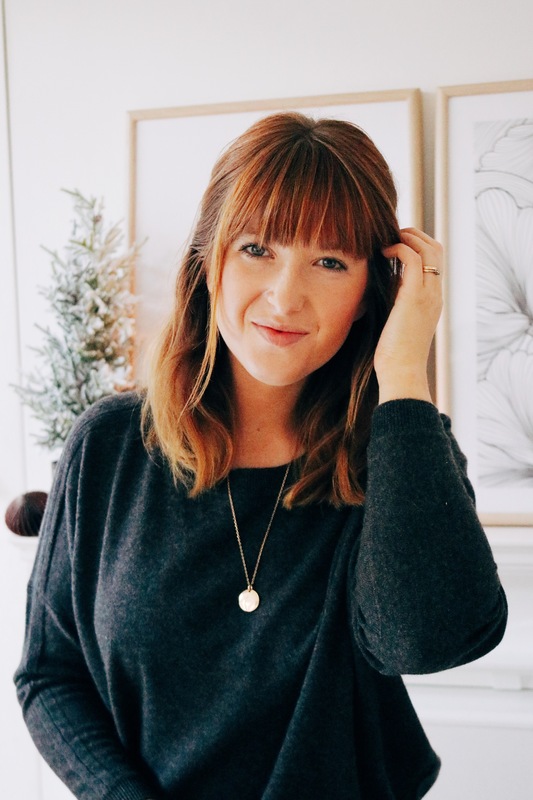 For me, I love to get all the Christmas shopping done as early as possible so that it never seems stressful as there are usually one of two gifts that get missed and it just gives me a bit more time to prepare. When I am looking for gifts I have a few rules that I like to follow, otherwise, I can get lost in all the adverts. Presents for the kids need to be fun and ones they will enjoy using. Presents for my husband Rob have to be a bit more luxurious; we can buy items we want through the year so I try to find things that he wouldn’t get himself but would enjoy if he received them. Presents for our parents are always more heartfelt. They never want anything, just our presence in their lives so I like to make things or get the kids to help with their gifts. Gifts for girlfriends are always nice gifts that I would like to receive; things for the homes or fashion items are always winners. With these thoughts at the forefront of my shopping list, I find that having a focus lets me choose better. 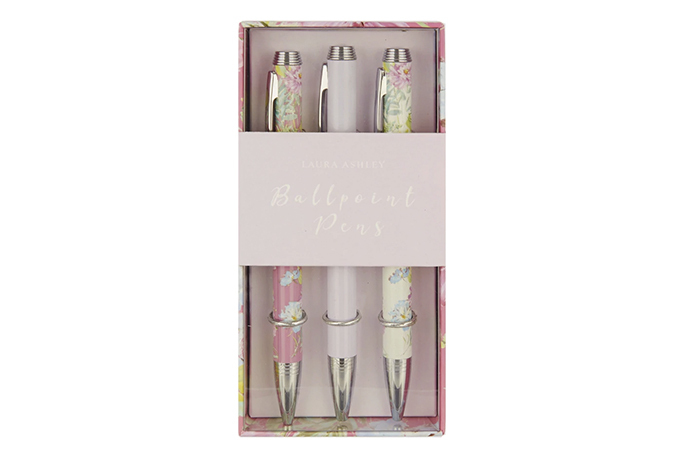 This year, Laura Ashley has some fantastic options for gifts and I wanted to share my top picks with you as it just might help you with your Christmas shopping. I find looking at other people’s gift selections sometimes just opens my mind a bit and you can be prompted to see how my examples might work in your life! 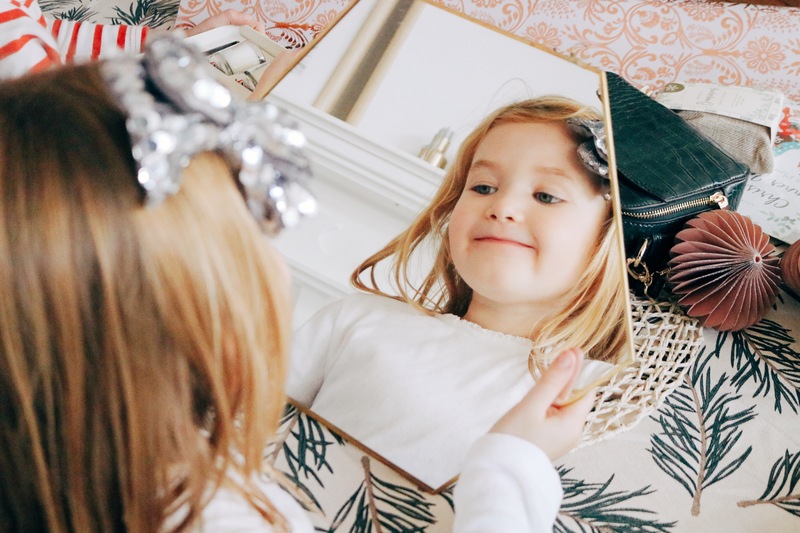 When it comes to buying for the kids, I try not to lose my way as it is so easy to fill a basket up with toys, but a lot of the time I find that I am toy repeating, re-giving similar items to ones we already have. It’s hard though when your kids are interested in certain things, I never want to waste money getting toys that will bring no interest to them. This year I have got them a few games each. Our kids love games, but actually, we haven’t got many they can access and even take with us to places. 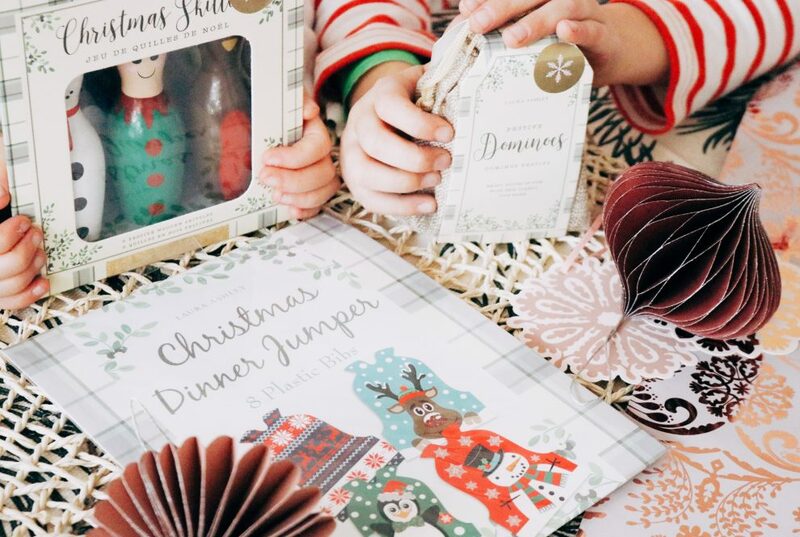 Smaller games are great for dinners out or travel and as far entertainment go, Laura Ashley has got some great Christmas versions of the classics. Skittles and Dominoes will offer endless hours of fun and as soon as the kids saw these they were desperate to get them out and play! More fun gifts for the kids are these Christmas bibs. 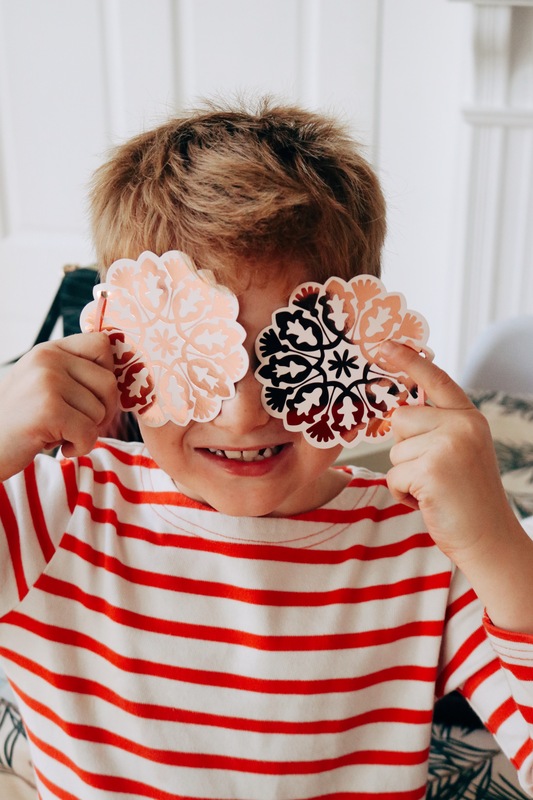 Kids love a bit of novelty and even though these won’t go with my Christmas day outfit, the kids will find great fun in us all wearing them at the dinner table! 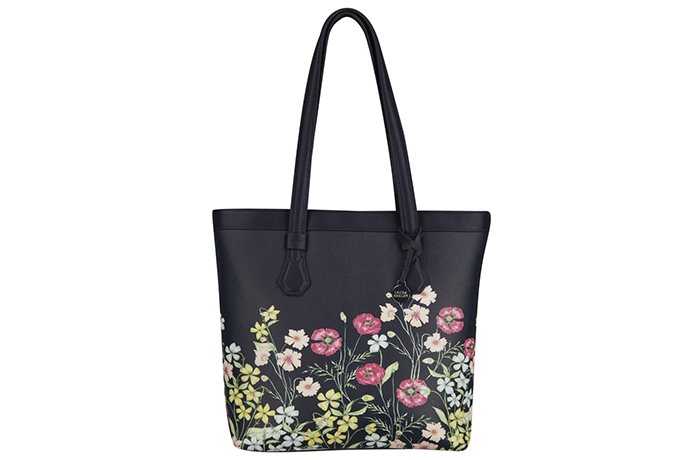 When shopping for Rob I always like to try and find a few pieces that he wouldn’t buy. Traditionally I always get him socks, like a lot of wives might do, but I always try to ones that are a little more luxurious, like these gorgeously packaged Boxed Pheasant 3 Pack. 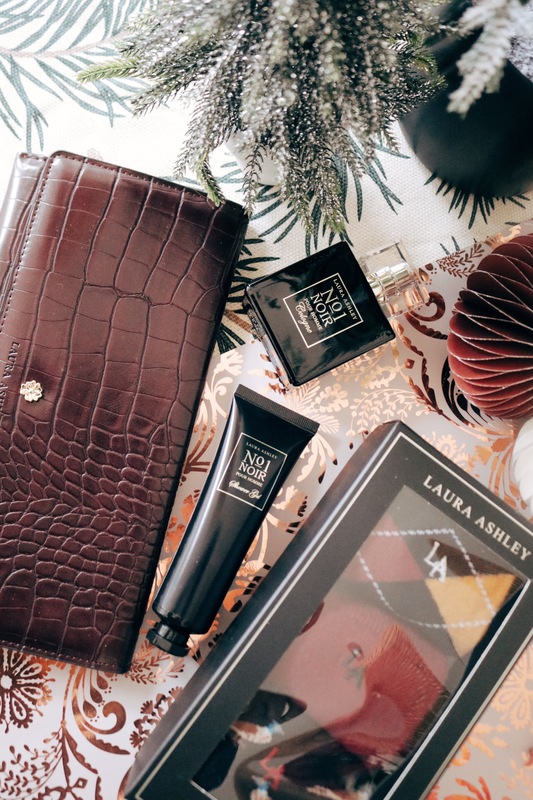 Another gift idea I love is this beautiful travel document holder; its burgundy, croc-effect outer looks very luxurious and it certainly lends itself as a practical product for those getaways through the year. Having carried our documents around in a paper envelope in the summer it’s nice to think we have something a bit nicer for this coming year! 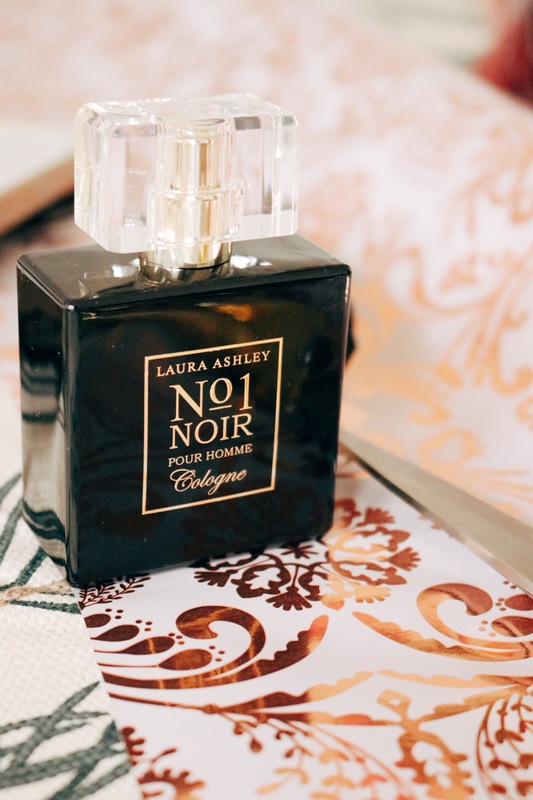 Also, Rob isn’t a fan of a lot of colognes but this Laura Ashley one smells so fresh that buying it as a Gift set with the shower gel is a really great gift for Rob. Buying for our parents is always much harder now. We have been lucky in life and they can have anything they want so I like to try to get them something more heartfelt. Whether its artwork from the kids or special books, I try to really think about something special for them. Nearly every year we give them a new picture. It can be from any time but I love finding a photo frame that I know will suit their homes for years and years. 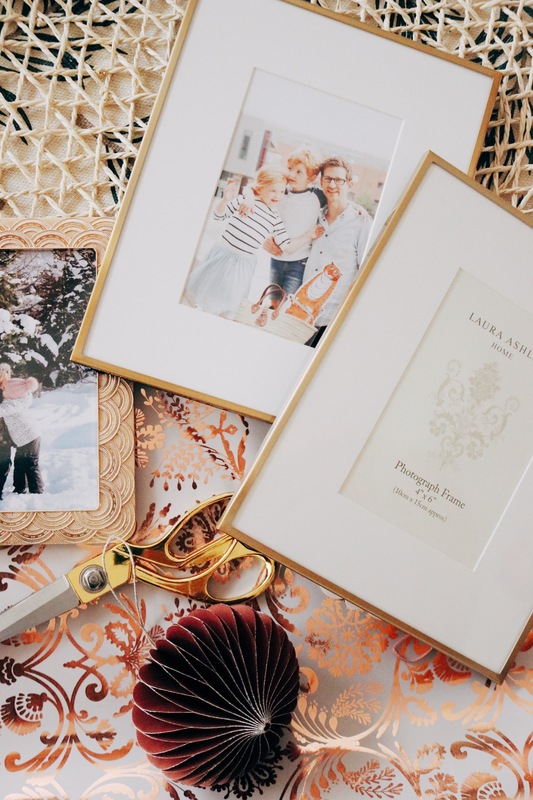 The Laura Ashley simple Gold Frame is an absolute favourite of mine. I have actually had a few in the past and just find they look so smart with every type of décor. We will be filling up frames to give to all our family as special mementoes from this year. Nothing beats a photo sometimes. Finally, some ideas for the girls. I do that thing where I buy what I would like!! I know, not great but luckily all my girlfriends think the same. We are friends for a reason as we all have similar tastes so I know that they will like what I pick. 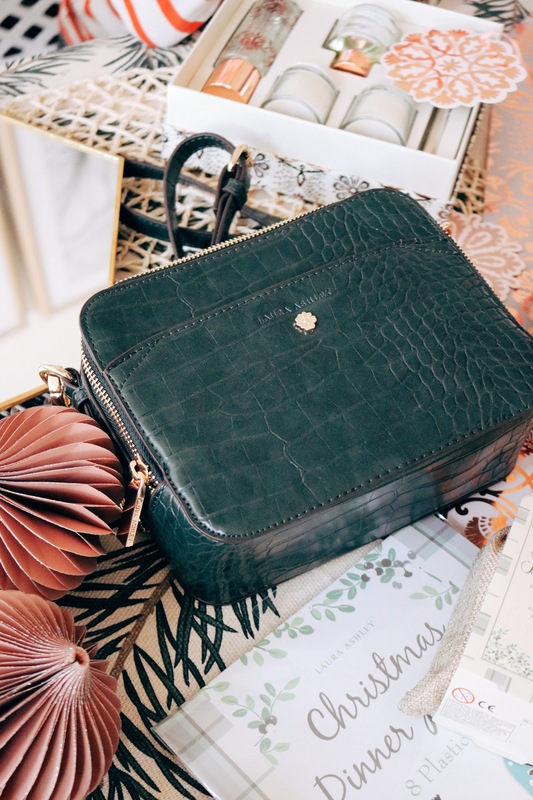 Along the same theme as Rob’s travel wallet, the girl’s version in this lovely Dark Green Cross Body Bag is so beautiful as a gift. It just looks like it is so much more expensive than it actually is. It looks so beautiful in real life. Home bits are also a really good choice and smaller bits that will fit into any home are a good place to start. This Hanging Mirror will look good on a bare wall or on a shelf; its simple modern design is so nice and will suit most home styles. 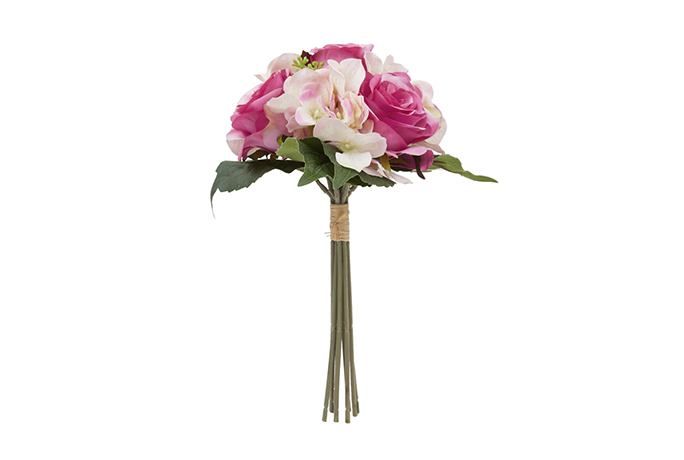 Candles & Home Fragrances are also an excellent choice. I used to hate getting candles for Christmas but now I absolutely love it. I love having a stash of special candles that can come out after all the partying. In fact, it is usually in January, starting a new year, that the new candles get burned and it is just a nice way to carry on from Christmas! 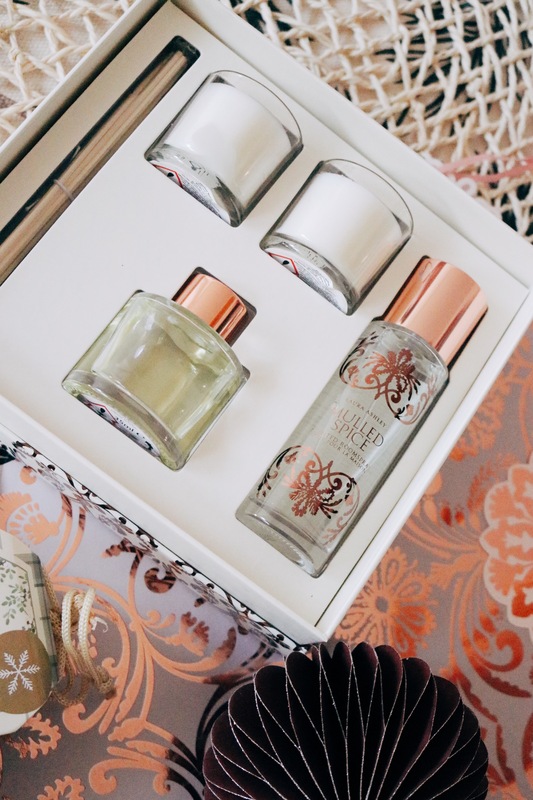 This Mulled Spice Gift Set is beautifully presented and smells so incredible! So that’s my gift guide for Christmas 2018. Items that offer fun, luxury and a little bit of nostalgia always feature high on my list. It’s so easy that everything can all be bought from one place this year – even the wrapping paper and gift tags! 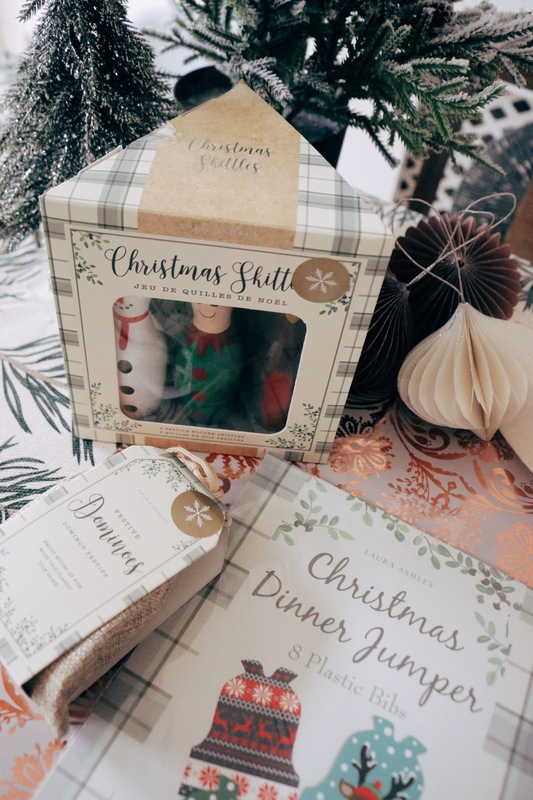 Laura Ashley are definitely making Christmas 2018 an easy one. Thanks to Emily from Brick Dust and Glitter for her amazing gift ideas. And if you’re looking for a little more help this Christmas? 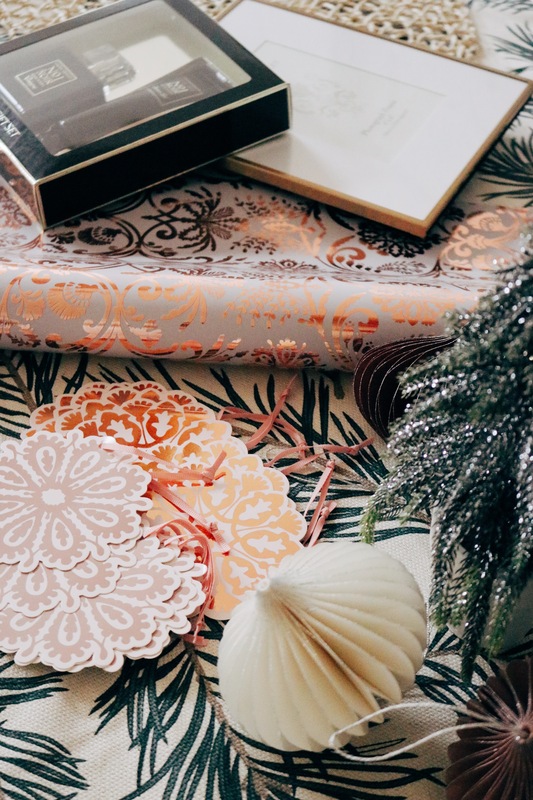 Read our top tips on how to get organised for the festive season ahead.